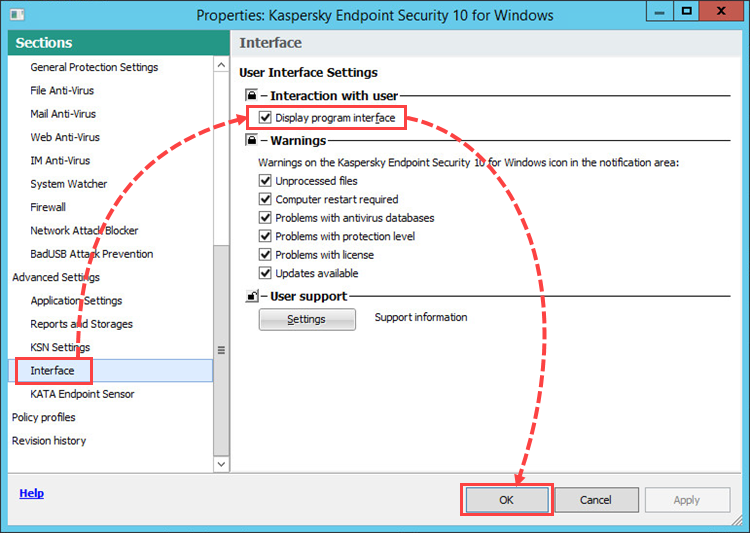 The Display program interface setting is disabled in the Kaspersky Endpoint Security 10 for Windows policy. Go to Policies and open the properties of the Kaspersky Endpoint Security 10 for Windows policy. Go to Advanced Settings → Interface. Select the Display program interface checkbox. Make sure that the policy has been applied on the managed device. The application interface will be displayed on the managed device.